After a quick search on the Internet, I found this recipe which met my long list of requirements! I wasn’t sure about the final outcome but I decided to make it anyway. And I am glad I did ! Not only did it take all of 10 minutes but it also brought back some fond memories from childhood. Remember those slabs of ice cream they served at Indian weddings? Or you could get them from a grocery store – if I remember it right, the brand was Vadilal or Kwality. 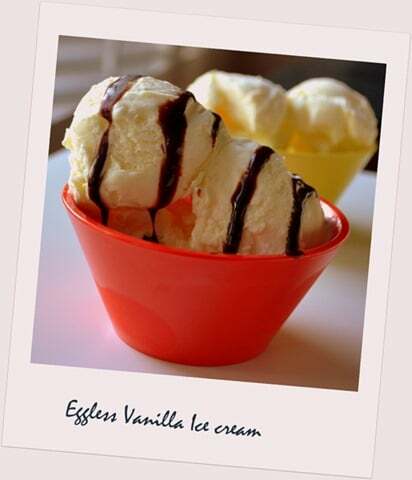 This ice cream tastes just as awesome..Gosh! 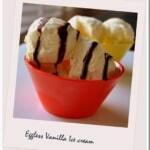 who knew making ice cream at home was this easy and with no more than 3 ingredients. I certainly did not! 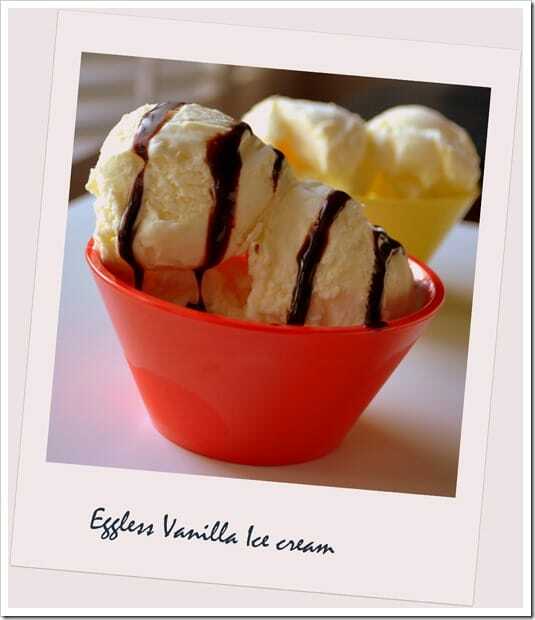 You MUST absolutely try this recipe for Eggless Vanilla Ice cream! You can’t go wrong with this one.